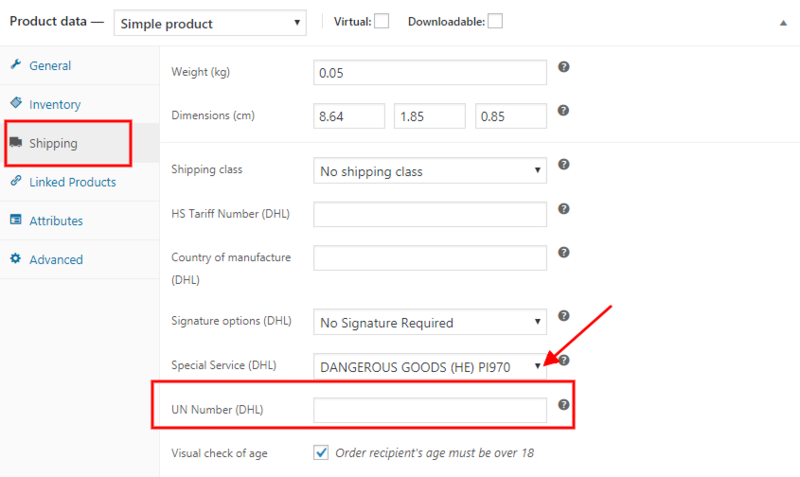 Home / What is New in WooCommerce DHL Shipping Plugin with Print Label (Version 3.6.4)? ELEX WooCommerce DHL Shipping Plugin with Print Label version 3.6.4 released on June 20th, 2018. Premium users receive all the updates along with premium support. If you missed out, you can renew your subscription at 50% discount and get all updates for the next one year. The article accounts for all the updates incorporated into the plugin since its version 3.4.0. The free version DHL WooCommerce Shipping Method, which has 2000+ active installation, also witnessed an update last week. So the improved basic version of 2.0.6 is now available for download for users seeking a free DHL Shipping Integration in their WooCommerce Store. One very surprising observation is that around 27% of the basic users are still using older versions of DHL WooCommerce Shipping Method. The older version does work fine, but updates which add features should be welcomed too. 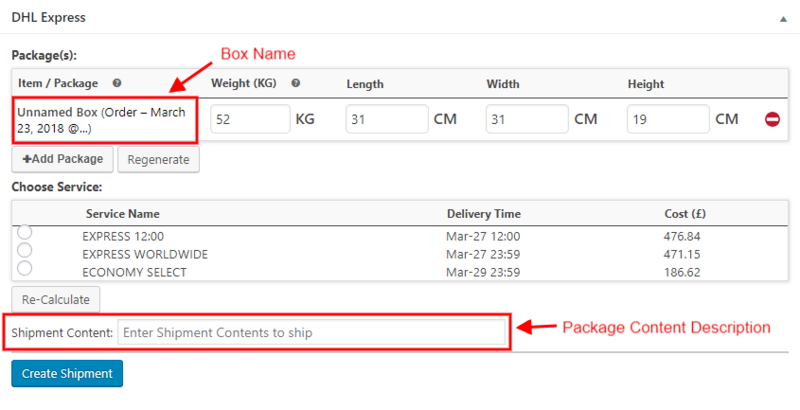 What is new with ELEX WooCommerce DHL Shipping Plugin with Print Label after version 3.4.0? Since the release of version 3.4.0, we have reached to our latest release of 3.6.3 and have executed a lot of minor and major bug fixes, feature addition, UI Modification and made the plugin compatible with some of the popular plugins. We also made the DHL Paket GDPR complaint. Let’s see the notable updates since then. Pickup is an important feature included after 3.4.0. This enables plugin users to add a pickup frequency for their packages. Once you enable the pickup option as shown below, the additional options appear. Here you get to enter the number of days after which you want the pickup facility from DHL. Further, you can add the time of availability of packages and finally enter the name and contact details of the contact person. The packages are collected by DHL from the Shipper Address that you can set in the General Settings tab of DHL. In a previous update, we had incorporated the feature of different currency for insurance. With that, the plugin user could choose the currency of the insurance. With this, the commercial invoice used to have the insurance currency chosen for insurance. But as per DHL guidelines now the commercial invoices contain insurance currency same as the store currency. One more addition to this was the option of insurance on the checkout page. Now customers get the option to select if they wish to have their packages covered by the insurance offered by DHL. As you can see them in the screenshot below, the order edit page has the name of the box. This is a new feature added to the plugin. The entire section of the package is added so that the admin can change the details of the packages here too. Earlier, the name of the box was visible only after the creation of shipment only. Now it can be seen before the creation of shipment. Showing the Box name. The red box in the bottom shows the Shipment Content Description Box. Enter a custom description here. The updates also included the addition of shipment content description box at the order level(See image above). With this, you get an option to edit/enter a package content description. This description appears on the shipping labels created. The feature has become useful for store owners who sell products that require different content descriptions for each of them. So now such store owners can configure content description individually. With the introduction of this, there is a default service selected for generation of bulk shipments. You can have a default service for all the package you create. As shown in the image below, now set a default service to create shipment for each of the domestic and international shipments you create. If you don’t select any for default service, the service selected by the customer is used to create a shipment. To find the default service navigate to Dashboard> WooCommerce> Settings> Shipping> DHL Express> Label & Tracking> Bulk Shipment to find the default service for Bulk Shipment. In addition to this, the Bulk Shipment option now works with the Flat Rate option too. We received issues where users were not able to print bulk shipments when flat rates were selected by customers. So now users can print labels for any type of shipping service. DHL Paket is now fully compatible with WooCommerce 3.4 after these updates. The plugin is now GDPR complaint also. This is of course inspired by the emergence of GDPR, which ensures a better control of the personal data of each customer from Europe. It means if you deal with any customer form Europe and collect and store their information, you need to comply with GDPR guidelines regarding the store and use of the data. If you as a store owner, fail to stay compliant to GDPR regulation you can be fined up to €20 million or up to 4% of your annual turnover. And since all of the users of our DHL Paket integration are in Germany this was the need of the time. They also have most of their customers in the European Union. Additional services refer to the services offered for dangerous goods and restricted items. The list here is updated as per DHL services. If you select the special services here it becomes the default special service and applies to all the product in your inventory. As a result, all the product will have the same product type on the label created. As you are aware of the fact that UN numbers, by United Nations, the four-digit numbers that identify hazardous materials, and articles is mandatory for international shipping, we incorporated the field of UN Number(DHL) at the product level and at the default level in the Label & Tracking settings of DHL Express. Now when the user selects a special service, he/she gets the option to enter the UN number. Adding UN Number per product. You can also have a Default UN number of you enable Default Special Service in the Label & Tracking tab. Type of product also refers to the assigning of the type of product it is as per DHL list of services. It is same as additional services as discussed above. The list above is also available at the product level. You can assign each product with any of these services. To get to this option navigate to your Dashboard> Products> Click on Edit for a product> Shipping> Special Service(DHL) and select a type from the drop-down. Similarly, you can set a type for each product. This ensures that different products are treated in different ways by DHL as this information is received by DHL as well. Compatibility improved with the Multi-vendor plugin Dokan. Commercial Invoice has seen a lot of changes since the release of the plugin. The frequency of updates has been reduced over the time. Within the time frame, we’re considering the commercial invoice now does not show the archive reference number. Further, the issue with Incorrect DHL Express net weight on the invoice is now resolved. Finally, the invoices generated don’t overlap now. We came across issues where the plugin showed error where the plugin failed to execute the number with more than 2 decimal places. Now the issue is resolved as all such numbers are now being rounded off to the nearest decimal value acceptable. One similar issue was the error for weight based packing for dimensions having decimal values. This issue is also fixed as now you can now get shipping rates for weight based packing without any error. Data Staging Service Implemented for Keeping data for 90 Days In DHL Server- With this, all the data related to the return label you let user generate is stored for 90 days in DHL servers. So now you customers can use the return label for a longer time. The new version includes the printing of a complete Return shipment Label, to contain all necessary and missing details. Delete option to Generated Shipment Packages- Now you get the option to delete the shipments created in the order overview page. Tool Tip Added- Toot Tip a message which appears when a cursor is positioned over an icon, image, hyperlink, or another element in a graphical user interface. The plugin now more user-friendly with the addition of this feature. 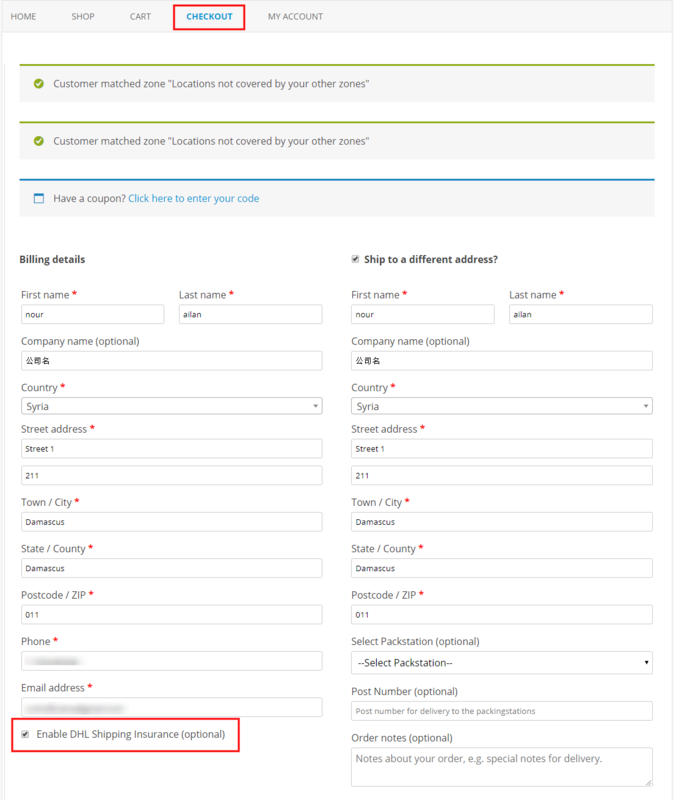 Enable and Disable Insurance In Checkout Field- Your customers now get an option to enable or disable insurance at the checkout. You must find out the top 5 features of WooCommerce DHL Shipping Plugin you missed. Or visit the documentation for complete list of features. The premium plugin costs you a one-time $69.00 and you are protected by our 30-Day Money Back Guarantee. It is a valuable integration into any WooCommerce store. This is because the location is not a bar for the plugin. You can use it and show shipping rates from anywhere in the world.